iMiirage Restaurant, Ipoh Soho by PromoteLa. - MisTan IzZy | Travel & Lifestyle. On my last trip to Ipoh, I had a great opportunity to finally experience the very famous restaurant in Ipoh, the iMiirage which was crazily shared around facebook. iMiirage restaurant gives a brand new dining experience with their unique interior design of 270-degree Full HD LED video projection. 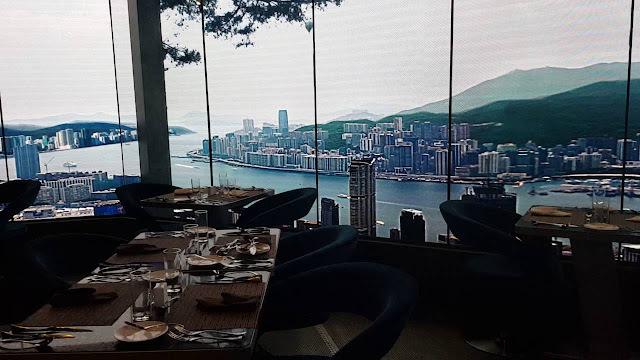 The great founder of this restaurant, Mr. Andy Goh, set his dream to own a restaurant which gives an experience like no one else did since he was very young. A dream has never been easy to achieve, Mr. Andy Goh spent a total of 2 Million in building his dream, and indeed, succeeded in a great way. Talking about my experience in iMiirage, I was having my lunch and fortunate enough to try out their new dishes. 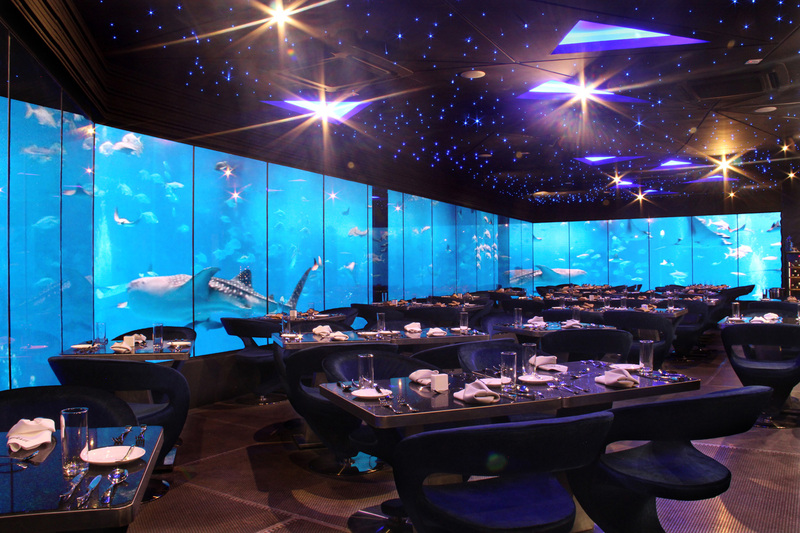 The restaurant offers 3 different themes while you dine in from 12pm - 10pm, "Japan's Underworld", and "Paris". These 2 themes changes every 20 minutes. 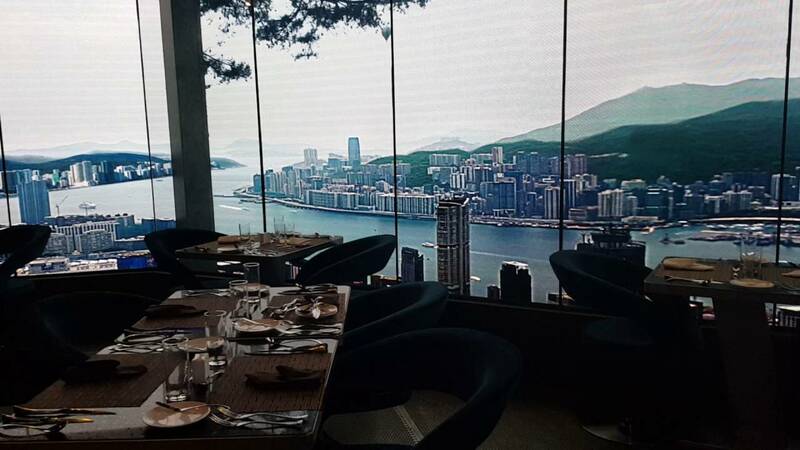 If you are going for breakfast, a "Hong Kong" view will be projected, from 7.30am - 12pm. In case if you are wondering, it does move like it's real. When you're there, if you see carefully on the "Paris" theme, cars are moving on the street, and little fireworks are everywhere. Same goes to the "Underworld", fish fishes are swimming around too. Technology of the World, view the menu and order your food through an Ipad. - favourite dish for kids, cheese macaroni. - specially for vegetarian, cheese baked with a lots of veggies (eggplant, mushrooms, carrots, cucumber). - Iberico paired with handmade Apple Cider sauce & with chef's recipe sauce. Only use pork belly and match with BBQ sauce. - tenderloin marinated with pepper, grill until medium and form a "Blackpepper crust", match with their unique sauce. - for vegetarian, mixed with pasta. 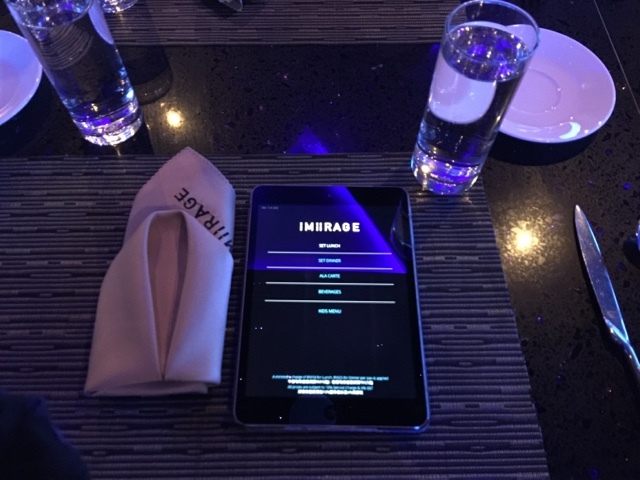 Now you can make a reservation for iMiirage through "PromoteLa" apps with promo code "MistanIzzy17E718" to get freebies! The food looks nice and the environment is superb.. Romantic nya! Have not heard of PromoteLa until their recent social media blast. Will check them out shortly and see what benefits I could gain.